Until three months ago, India had no companies that were valued at more than $100 billion. Now it has two. Reliance has become the second Indian company to cross the $100 billion (Rs. 7 lakh crore) market capitalization milestone. Reliance’s stock is currently trading at Rs. 1,090, up 4.48% for the day. This uptick has caused its market cap to push past the $100 billion mark. In April this year, TCS’s market capitalization had crossed the $100 billion mark, becoming the first Indian company to currently reach the milestone. This isn’t the first time that Reliance has touched the $100 billion mark. In 2007, Reliance had briefly touched the $100 billion milestone, but had seen its value fall soon after. Reliance’s stock hadn’t done very much for the last decade or so — in January 2008, it traded at Rs. 781, and today it trades at Rs. 1090, which represents only a 3.4% annual return over the period. But recent moves have seen its stock show fresh strengths. 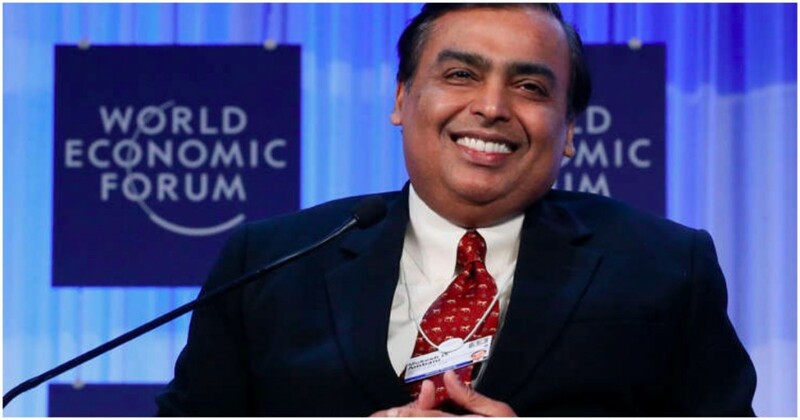 Reliance’s latest AGM saw Chairman Mukesh Ambani spend a majority of his time talking about Reliance’s digital initiatives, including its Jio telecom business, its range of feature phones, and JioGigaFiber, its brand new broadband service. Reliance also announced that it would soon enter the smart home segment as well, with digitally connected devices such as security systems and smoke sensors. And there have been rumblings about its entry into India’s e-commerce market through an offline-to-online model. Investors clearly are taken with Reliance’s latest moves. Reliance’s latest valuation will put it among the top 100 most valuable companies in the world, which is led by Apple with a market cap of $924 billion. This will be a major milestone not only for Reliance, but for India. Along with TCS’s entry into the coveted club, India now has two companies with valuations of greater than $100 billion. From having no companies in the list to two since April, India’s economy is clearly on the upswing, and ready to take on the world.